Nicolás Fuentes Colomer is a lawyer by training, having studied in Seville and Aberdeen and completed an LL.M. in Environmental Law from Vermont Law School in the U.S.
As a former Kellen Association Management Consultant he has experience working with industry associations in Brussels, providing strategic insight to navigate the policy making arena. At FEICA he has worked as a Regulatory Affairs Manager, dealing with topics such as Construction Products Regulation, Labelling (CLP) and the circular economy. You have probably heard about the new notification requirements for mixtures placed on the EU market. As of 1 January 2020, companies will have to comply with a new set of requirements to notify Poison Centres. As these changes will have a serious impact on the internal processes of your company, FEICA has been working hard with the relevant authorities to understand the complexities of the obligations early on. 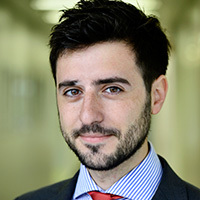 Nicolas Fuentes, who has worked with the authorities on the development of guidance on this issue, will give an overview of the steps to be taken by your companies to ensure the transition goes as smoothly as possible.